PechaKucha Night Cleveland is back with Volume #16. Get inspired. This month you’ll hear from comedian Mike Polk, Kim Jenkins of Rising Star Coffee, Justin Markert of Cellar Door CLE and many other interesting folks. Where it’s at? Star Plaza, that’s where. Go early. Celebrate the cultural and artistic diversity of Tremont and Greater Cle at one of the most beloved festivals of the year. Going into its 14th year, the Tremont Arts & Cultural Festival offers a hodgepodge of creativity and community — art vendors, community organizations and social justice groups, kids activities and lots of good food. 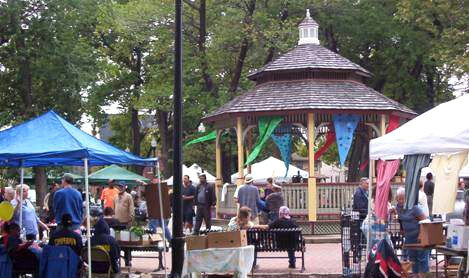 Spend the day or spend the weekend in Lincoln Park. Hop onto a free trolley and explore different parts of the city. 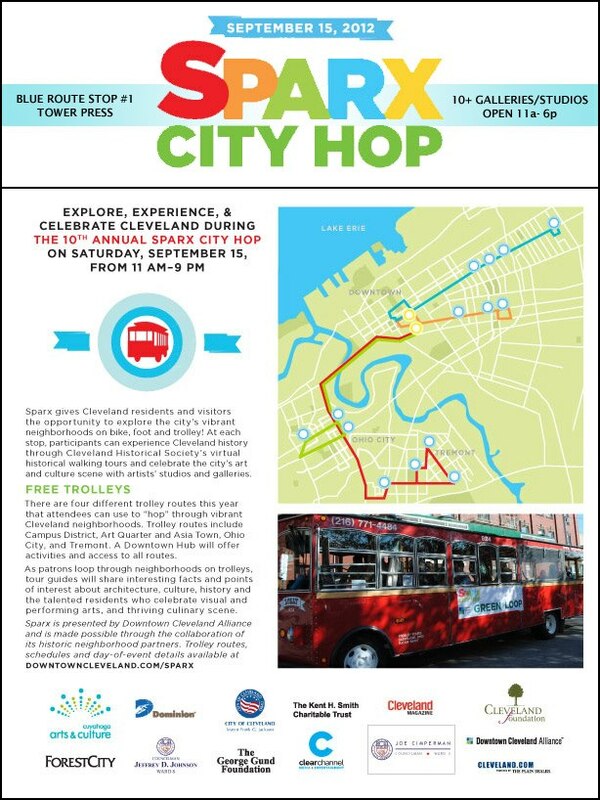 This year the Sparx City Hop has four routes — through the Campus District, Tremont, Ohio City and Art Quarter/Asia Town. All stops features are bumpin’ with live entertainment, history facts and some even connect to local events (the Arts & Cultural Fest in Tremont and the C-Town Chow Down in the Campus District). Want to experience Sparx in a new way? Bike-Ride the Route! This just has to be about the coolest thing. Don’t just go, invite all of your friends from out of town to come in for this one. An arts festival celebrating the union of art and technology on the lower level of a bridge spanning the Flats where rail trolleys used to run? If this project can be sustained for years into the future it could be legendary. Visit http://ingenuitycleveland.com/ for more information. Be sure to check out the schedule and map. This free art event is not-to-be-missed. This weekend, Sep 24-26 on the Detroit Superior Bridge. This is going to be awesome. Just being on the lower level of the bridge is great. Last year’s Bridge Project was a smashing success. Combining with Ingenuity Fest proper is sort of hard to comprehend. Be there. Learn more here on the Ingenuity Fest website. Lisa DeJong/The Plain DealerGordon Square Arts District is pumping millions of dollars and new jobs into the regional economy by attracting patrons to its restaurants, galleries and theaters, according to a report by Team NEO.. Team NEO study projects economic boost from Ingenuityfest, Gordon Square Arts District | cleveland.com. – a weekend-long celebration designed for audiences of any age. Pushing boundaries, creating a unique festival experience that draws and celebrates diversity, and involves the audience as both spectator and participant! July 10 – 12 in downtown Cleveland.